It’s time to get out your cookbooks — and start baking for Love the Pie Party on Monday!! What better way to celebrate fall than taking your family to visit a local apple orchard to pick fruit. Then, take those delicious apples home and bake the “All American” favorite – Apple Pie! It’s so easy when you start with Pillsbury® Refrigerated Pie Crusts, which gives you the look and taste of homemade without the time and stress of making a crust from scratch. Seriously, it’s the only crust I use! I never bother to make pie crust from scratch…..it tastes and looks THAT good! To pick the best apples for your pie, gather the family for a road trip to the local apple orchard to savor the flavors of fall. Not sure which orchard is closest to you? Log onto tasteofhome.com/appleorchards to find a list of orchards that are planning Love the Pie! baking demonstration events across the country. While there, you can learn pie baking tips and ideas from State Fair Pie Baking Champions, and pick up recipes and participate in other orchard activities. We were not able to make it to an orchard this year, but one of our neighbors did! 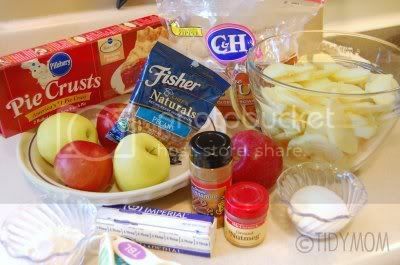 and she brought me over a bag full of apples so I could make one of my favorite apple pies………. In 9-inch pie plate, combine pecans, brown sugar and margarine; spread evenly over bottom of pan. 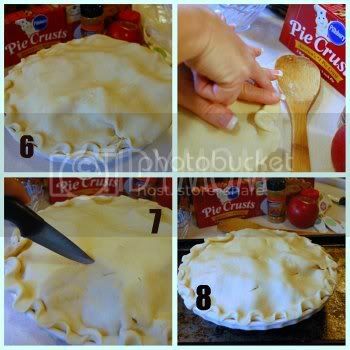 Prepare pie crust according to package direction for two-crust pie (flouring each side of crust). Place bottom crust over pecan mixture in pan. Press crust down around sides of pan. 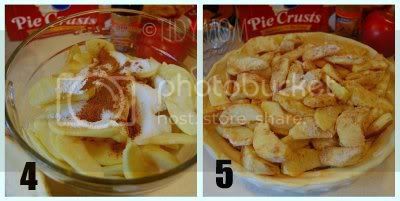 In large bowl, combine apples, sugar, flour, cinnamon and nutmeg. mix lightly. Spoon into pie crust-lined plate. Top with second pie crust, and flute. Cut slits in several places. Place pie plate on cookie sheet and bake at 376° for 40-50 minutes or until crust is golden brown. For even more delicious pie ideas throughout the year visit Pillsbury.com/pie for fun and easy recipes to satisfy every season. Are you still searching for a pie recipe? Here are a few delicious recipes to help inspire your readers to create delicious, homemade apple pies! Perfect Apple Pie is the model of a classic dessert – a beautiful double-crust creation with sugary cinnamon, nutmeg and a splash of lemon juice. So easy to make, this recipe is great for beginner pie bakers looking for impressive results. Festive Apple-berry Pie is the perfect blend of sweet and tart, with a gorgeous color palette of golden apples and dark red cranberries. Use frozen cranberries to make this dish even more quick and easy! Topsy-Turvy Apple Pie combines two classics – apple and pecan. Invert the plate to reveal a gorgeous pecan topping. 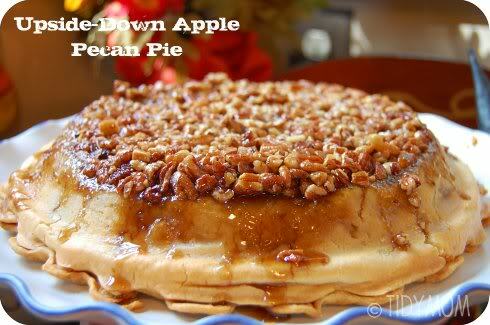 This is a dessert that both apple and pecan pie fans will “flip over”. Easy Apple Pie Foldover is a great solution for keeping the kids happy; a simple mixture of apples and brown sugar folded inside a golden brown baked Pillsbury pie crust. With four servings, it´s a modestly sized apple treat that is kid-friendly to make, and eat. Cinnamon-Apple Pie with Caramel-Pecan Sauce truly harvests all of autumn´s bounty in a clever presentation. 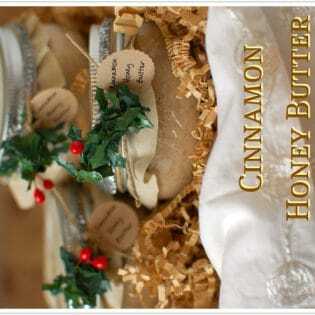 Ready in just under an hour – each slice is topped off with a luscious blend of butter, brown sugar, corn syrup, pecans, whipping cream and vanilla for a saucy treat. 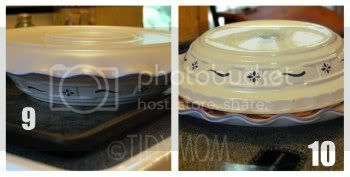 You can visit Pillsbury.com/pie and download a printable coupon for $0.50 off a package of Pillsbury Pie Crusts today !!! A few people asked if it’s ok to post a recipe with out a picture? and the answer is YES! If you have a great pie recipe to share, but don’t have a picture, we’d still LOVE for you to share your recipe! Don’t have a blog? no worries, just post your recipe in the comments!! 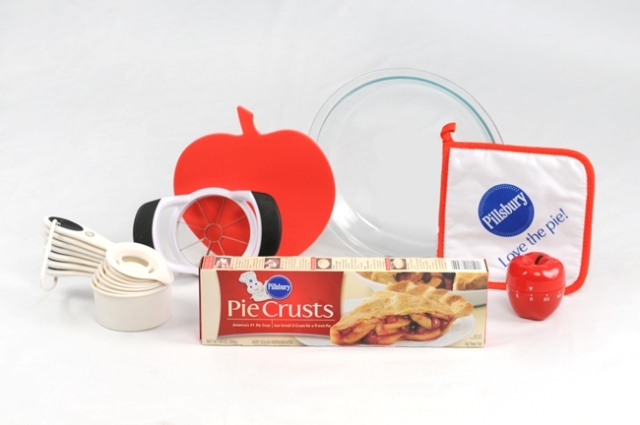 Pillsbury provided me with some AWESOME tools for baking a pie through MyBlogSpark. Mention this giveaway on your Facebook page, or blog. Giveaway will end on Nov 20, 2010 at 5 pm CST. One winner with a valid entry will be selected at random using random.org. I will email the winner and they will have 48 hours to claim their prize. my favorite apple pie recipe comes from the Pioneer Woman. It’s an apple pie with caramel streussel topping. So good. I’m a tidymom subscriber via email. the pie i’m going to put up is one i found in my grandmothers recipe box simply titled marge’s dessert. though it is a pie. i don’t remember ever having it, and i don’t remember a marge, but the pie is so simple and so wonderful it deserves to be shared. 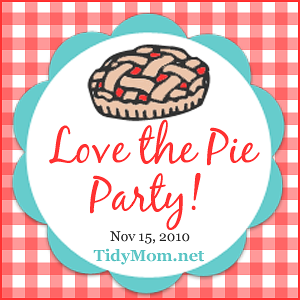 i subscribe to tidy mom by email and love it! Berry Pie is my favorite! lovin’ the upside d:)own apple pie too 🙂 Gotta make that one. 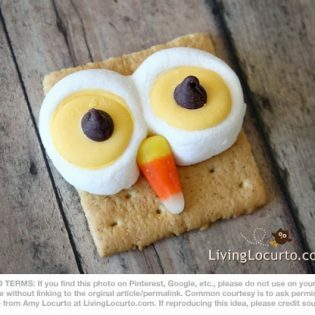 I like Tidymom on FB. My favorite pie is Rumrunner’s Pecan Pie. That being said- I think I’ll whip out my Pillsbury crusts and make my caramel apple pie for the contest! It’s always been a big hit! Pecan pie is prob my fav, but I make an awesome apple crumb too. Of course..I need a peice of all 5 or 6 diffferent kinds!!!! my favorite pie is my pumpkin pie and the pilsbury crusts are really good! I like tidy mom on facebook! How interesting. I love the new take on the old apple pie. I will be making my favorite family recipe. Dutch Apple Pie. Yum! I can’t wait! Favorite pie…i haven’t made many, but one of my favorites is key lime pie! I might just have to try the Upside Down Apple Pecan Pie–and Pillsbury Crusts are all I’ve used for years! I won’t have much time between work this year, but my pumpkin pie is a must! Lemon meringue pie is the one and the only pie! I made this pie tonight and popped it in the freezer to make for my family on Saturday night. It looks delicious and was incredibly easy. Thanks for the recipe!